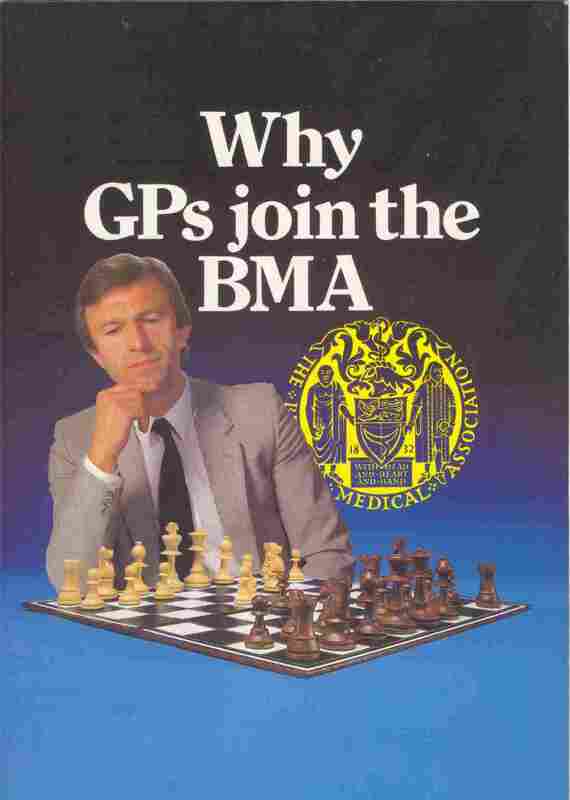 A recruitment booklet for GPs. A colour promotional poster of a hand holding the Association's crest and with benefits of membership rising. Today this would have involved using a real, albeit computer-modified (not drawn), hand: remember that back then there was no desktop publishing or photoshop-type packages. 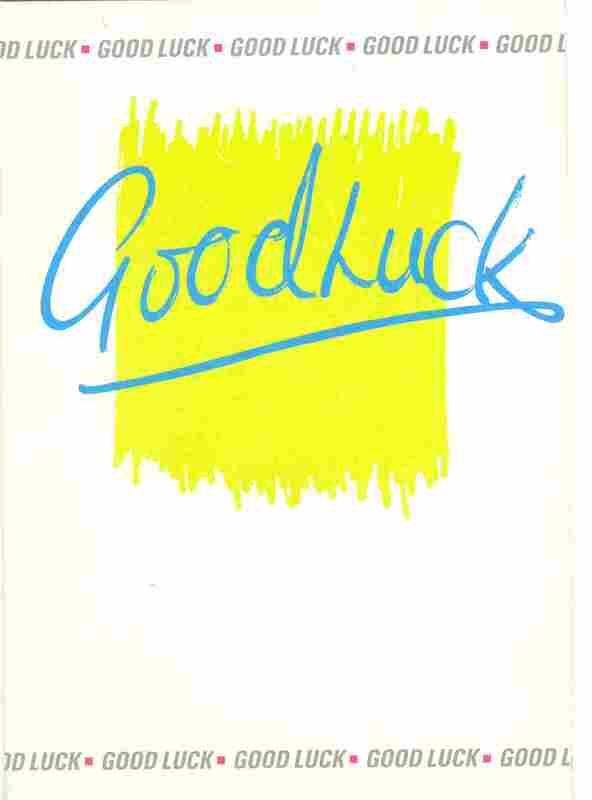 A new dimension to the annual recruitment strategy, good luck cards (above) to final year students, followed by (only to those that passed) congratulations (right). 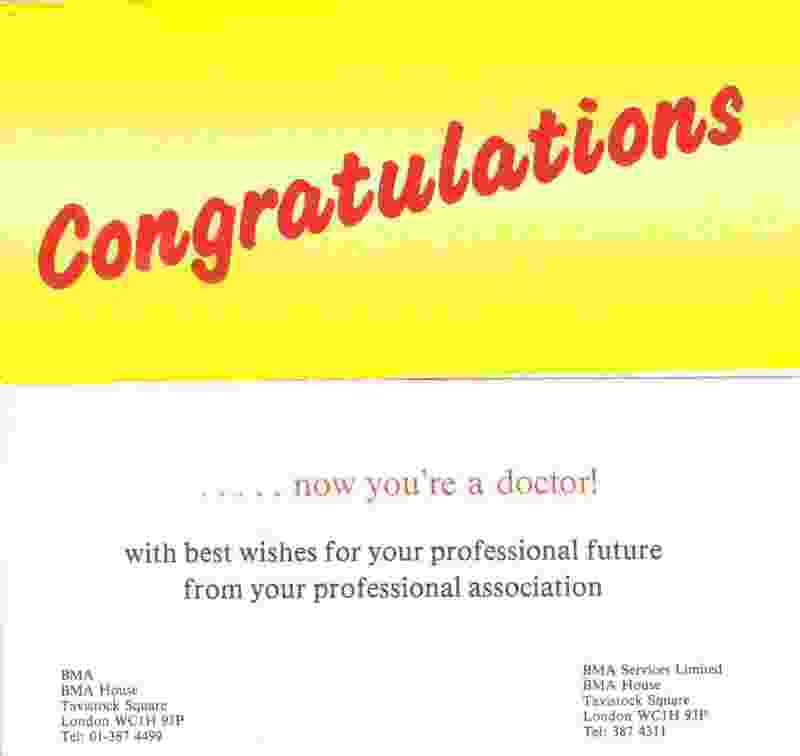 A three year-stint promoting the British Medical Association (BMA) provided an excellent introduction to a career with learned scientific bodies communicating science. Having spent the previous year (1984) finishing off an MSc dissertation (environmental and human ecology aspects of UK electricity supply) and writing short news bits for magazines like New Scientist, the time spent at the BMA was an education in itself as to how a really successful learned body might work as well as in communication. The three years began at the beginning of January '85 and ended just before Christmas '87. The post itself was very junior but with singular responsibilities in that it was the only post of its kind within the Association. Reporting to one of the BMA's Deputy Secretaries (the biggest line management jump in the Association), the job was to promote the Institute to non-members and get them to join. This meant: producing promotional and recruitment literature; distributing the same to the Association's regional offices; organising mailshots; creating displays for stands; liaising with all the various Association departments so as to ascertain and help develop benefits of membership (see short article PDF 0.5 MB); liaising with medical student groups; and organising the Association's first student medical journalist competition. 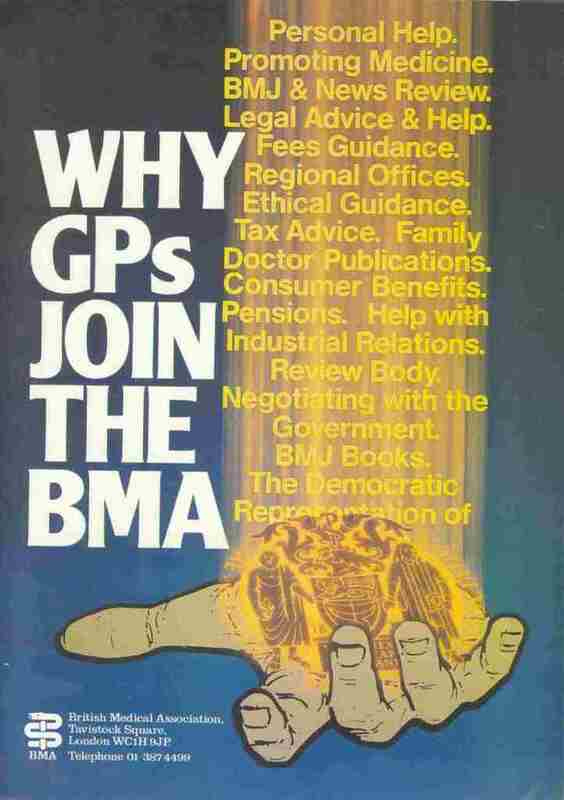 The Association needed promotion as – contrary to common belief – British medical doctors for not need to join. Medical doctors (clinicians) need only register with the General Medical Council if they wish to practice in the UK as well as to take out professional indemnity insurance. It is also advantageous for them to belong to their specialist Royal College (be it of general practitioners, surgeons, psychiatry etc.) – in science terms this is equivalent to belonging to a learned society. However (just as with scientists) there is no compulsion for clinicians to belong to their professional body: the Association is both the professional body and trade union for UK clinicians. And so it was in the 1970s that without clear benefits of membership the Association was actually losing members and in threat of having to close. However the Deputy Secretary (the aforementioned line-manager) came up with a strategy to literally sell the BMA as a product. At first, apparently, this was viewed by some with disdain as not in-keeping with the profession's image, however the reality of circumstances meant that it was given a go… and it worked: membership began to grow! Consequently for a few years prior to 1984, membership had been growing linearly. This straight-line growth was maintained through the 1985 – '87 period with a membership increase of over 10%. This was no mean feat as the reality was that it was increasingly hard to maintain growth as each successive year there were more within membership to retire (hence member loss to recoup) as well as fewer non-members from which to recruit. Much of the Association's promotional literature used at the time was created in previous years, but the material displayed on this page is just some of that which was written and designed during this 1985 –'87 period. By Christmas 1987 the post had itself been promoted from Executive Officer grade to that of Regional Officer and this was backdated to the beginning of the financial year. However the Association is for clinicians and something that was closer to science beckoned. 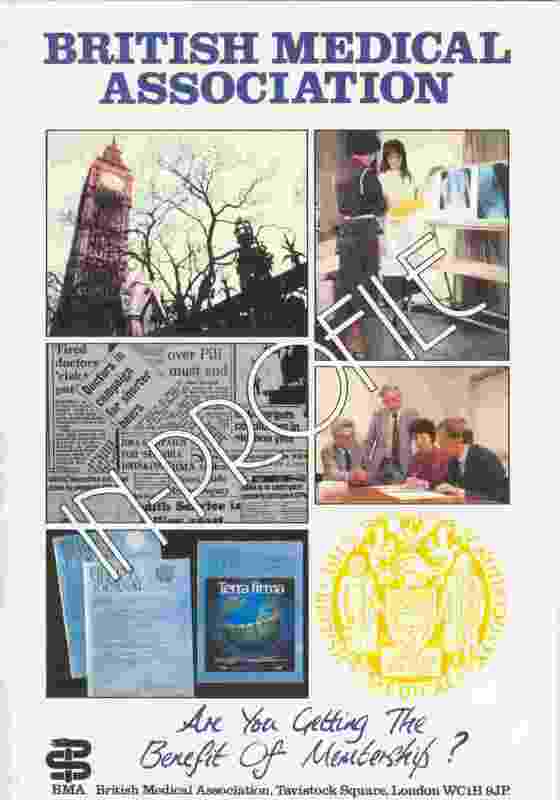 A move was made in January 1988 to manage the Institute of Biology's publications which in turn was to develop into running its science policy operation later in the 1990s.